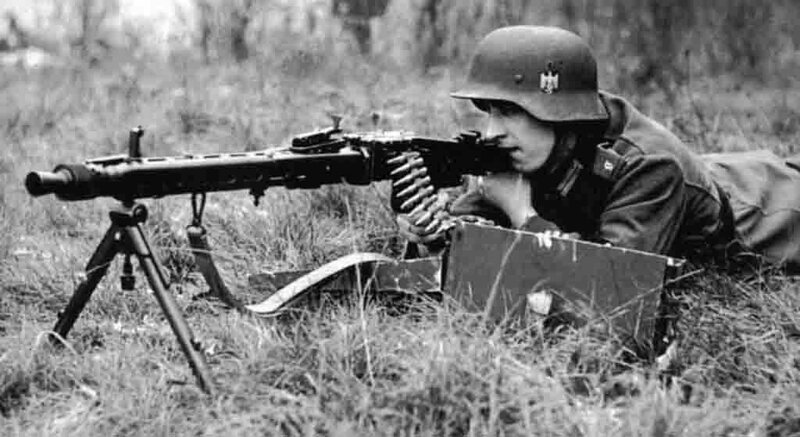 German machine gunner from the reserve battalion “Großdeutschland” with a light machine gun MG-42. MG 42 (German Maschinengewehr 42) – German single machine gun of the Second World War. It was developed by the company Metall-und Lackwarenfabrik Johannes Großfuß in 1942. Among the Soviet front-line soldiers and allies, he received the nicknames “Bonebreaker”, “Hitler’s Saw”, “Emga”, “Cross”.